Sai Ram all. First of all, thanks to all the devotees who posted their experiences and to those who manage this platform, where we got chance to read variety of Sai Leelas in everyone’s life. Here I also felt that I am so closed to Baba. Here is one of my experience. 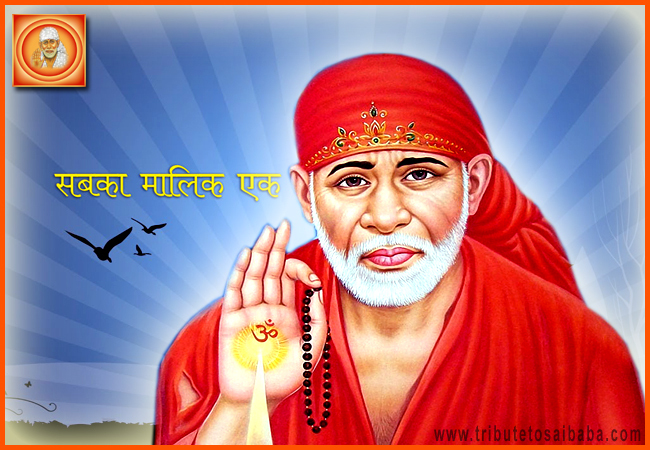 Few days back, I was getting an answer of worshiping Load Shiva many times, when I ask question to the Sai Baba, (@ http://www.tributetosaibaba.com/ask-question-sai-baba). I said to Baba that I worship Lord Shiva in your form then why you asking me to do the same again and again. I received this answer for 5-6 days. One night my sister messaged me her dream, and she told me that on Monday morning, she had a dream and seen me worshipping Lord Shiva there. I was so excited after knowing that. Baba again found his way to convince me, so I started worshipping lord Shiva and Baba together. Yesterday, when I was reciting “Siddha Manglam Strotam”, I saw Mahakaal of Ujjain in my vision. I wasn’t thinking about him and also I had no idea how and why this happens. I started calling everyone as Baba likke Bhole Baba, Hanuman Baba, Sai Baba etc. And also I remember one day another Sai sister encouraged me to read Gurucharitra. I started reading that book, and I was surprised to know who is Guru Nath and Lord Dattatreya. I never knew this much. Then Sree Pada Sree Vallabha. And knowing that Baba is incarnation of them, I said Oh Baba, you are the lord Shiva, then why you asking me. May be he wants me to worship his united form. Om Sai Ram!